The Race4Chase Program aims to provide kids, aged 6-12, with a safe, healthy, non-competitive environment to discover the sport of triathlon. Designed as a 6-week goal oriented summer program, participants are provided with expert instruction in swimming, cycling, running, strength training and flexibility and being taught the fundamentals of good nutrition, under the supportive guidance of coaches, lifeguards and instructors to get ready for a USAT-sanctioned race. Implementing a custom-designed training program the coaches provide the youth athletes with all the equipment, knowledge and one-on-one support they need to become tri-athletes and lifelong athletes. The Program is created in memory of Chase Kowalski. 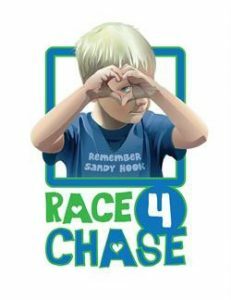 Chase was an amazing son, brother, and friend who was taken from the world on 12/14/12 in the Sandy Hook Elementary School tragedy. He loved sports of all kinds and had an incredibly competitive spirit. His family’s vision is “to turn tragedy into triumph by healing and strengthening our families and communities”. The Kowalski family wanted to capture Chase’s competitive spirit and vitality in creating a charity in his honor with a focus on health and wellness for children and their families. The CMAK (Chase Michael Anthony Kowalski) Foundation has pursued programs and initiatives that encourage personal improvement, healthy lifestyles and strong family and communities.On Sunday, August 12th, 2018 the Newport County YMCA, Fort Adams Trust and the CMAK Foundation, will host an affordable, family end of summer celebration called “Chasing Summer” at Fort Adams. The event is the celebration of the Y’s Race4Chase Kids Triathlon Program. There will be music, food, games and plenty of fun!